LOVED Alysa’s teaching from the depth of her own experience, Alysa’s clarity, passion and certainly is tangible. Shadow to Seva was immeasurably informative and provided a wealth of tools to help bring the gifts of yoga and meditation to the recovery community. Alison B.
I took Alysa's workshop to teach int treatment centers, what I learned was how to handle any situation with confidence. She gets into the nitty gritty of what happens in this type of setting, allows us to feel the discomfort and then generously gives us tools to navigate through, gracefully. Since, my classes have not only improved my teaching, yet I know my students benefit as well! Caroline H.
"I have benefited from Alysa's deep knowledge and compassionate training to employ the key elements necessary to customize and adjust my teaching. I now feel I can better facilitate classes adapting to the individuals (addiction, trauma, etc. )and environment. I also have deeper compassion and understanding which will lead me to confidently teach my students, especially those who have not practiced prior or who are reluctant to yoga. Alysa's approach to teaching both is academic and physical. Allowing one to "learn", "feel" and "experience". She is wise and most of all very refreshingly authentic in her approach to teaching. Her energy and passion are magnificent! Alysa's class has stoked the fire and passion in me and my Seva is strong and clear." 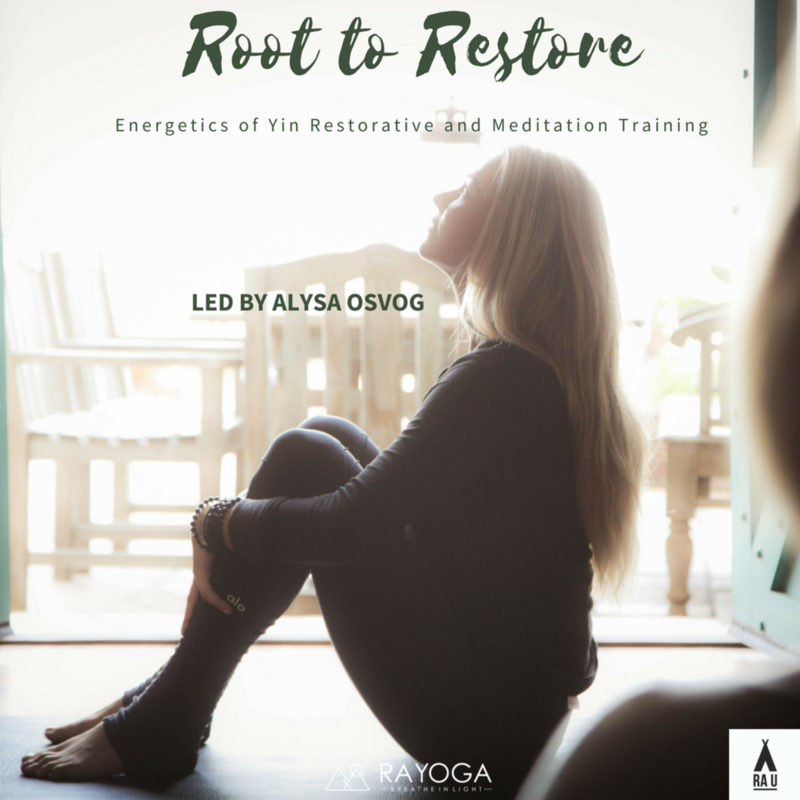 "Alysa came to the midwest for a weekend to share her abundant "experience, strength, and hope" with our teacher training. We benefited greatly from her wisdom and gracefulness! Personally, I gained more confidence and courage for teaching yoga to recovering people and those individuals and families in the court system. As a yoga practitioner for over five years, a twenty year criminal justice professional, and a person in recovery for 28 years, Alysa taught me how to adjust and modify the teaching to match the population as well as to have more confidence, purpose, and meaning in my renewed mission to serve those who would not normally have access to yoga. As a result of her training, my Seva has become more clear and powerful and is manifesting in directions I never would have dreamed possible." "I never considered myself a writer, I like Alysa's yoga teaching style so enrolled in her writing workshop- Holy smokes! I was blown away by how insightful, therapuetic and fun it could be. Writing is my new YOGA- ha!" Marcus G.
"The tools you gave us in this training make me feel confident that I could design my own home practice and still get the benefits that I look for from a led Restorative class. I also had previously shied away from Yin classes, feeling like they were too hard/stressful and not understanding all of the benefits that they have to offer. After gaining a deeper understanding of Yin in this training, I know opening up to incorporating it into my yoga practice will yield huge benefits for my body. I thoroughly enjoyed the way this training seamlessly wove together the practice with education - I felt refreshed, informed, knowledgeable, and relaxed all at the same time!" Brittan M.